Protogrid, an integrated application development solution for the development and operations of information systems, has been conceived of as a more modern replacement for software platform products such as Lotus Notes. As a complement to its interface, Protogrid needed a set of marketing materials that would encourage people to sign up for a demonstration and then later switch their business software platform to a tailor-made solution with Protogrid. 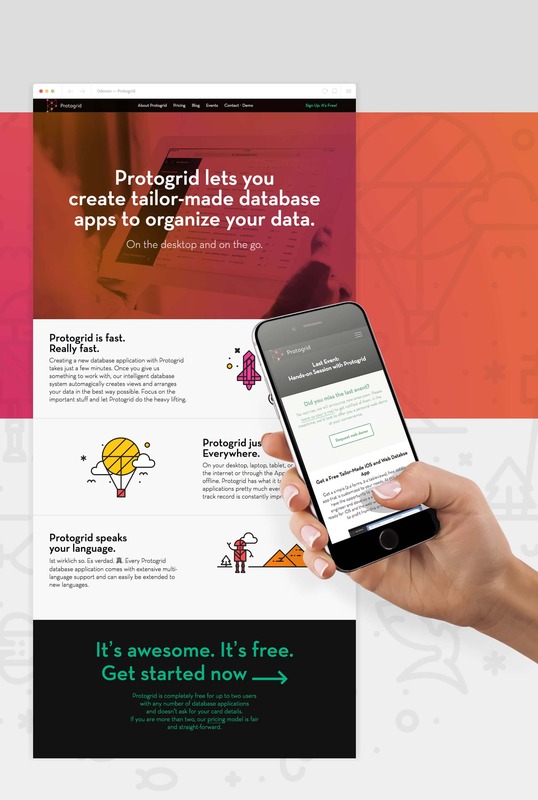 As potential users may have previous negative experiences with software platforms designed for business use (having been forced to use them at their places of employment), the promotional materials for Protogrid needed to show how Protogrid is different from its competitors and how organizing one’s data doesn’t have to be an arduous task. 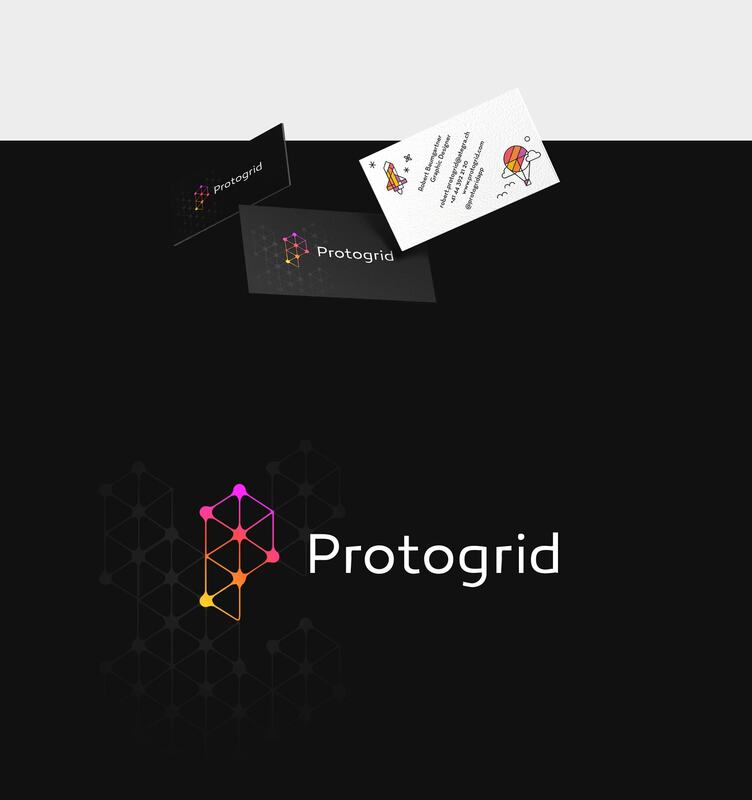 We created a new website and a set of marketing materials that help to make Protogrid more accessible to new potential users. A series of friendly illustrations loosely based on a dot grid don’t simply liven up the feel of the database application, they relate to the features of Protogrid and show potential, albeit fanciful, situations where Protogrid can be put into action. Closer to home, potential users can be reminded to check out Protogrid with branded t-shirts and power banks that echo the message.